Frosted, a 6-year-old stallion, will be on the roster of featured horses for the National Museum of Racing and Hall of Fame’s Foal Patrol Season 2, which will debut online Dec. 28 at www.foalpatrol.com. Owned by His Highness Sheikh Mohammed bin Rashid al Maktoum’s Godolphin, home of the Darley stallions, Frosted will be the lone stallion featured in Foal Patrol. His on-camera schedule at Jonabell Farm in Lexington, Ky., will follow his daily routine in his paddock and in his stall. The first season of Foal Patrol, a one-of-a-kind collection of live cameras following the daily activities of in-foal mares, had more than 1.6 million views from December 2017 through September 2018. Frosted joins Lassofthemohicans (Lael Stables/Denali Stud), Starr Bear (Double Diamond Farm), Frivolous (Shawnee Farm), Silver Colors (Gainesway Farm), With Honors (LNJ Foxwoods/Claiborne Farm), Viva Sheila (Lady Sheila Stable/Edition Farm), Love and Pride (Three Chimneys Farm), and Comme Chez Soi (Old Tavern Farm) in Season 2. 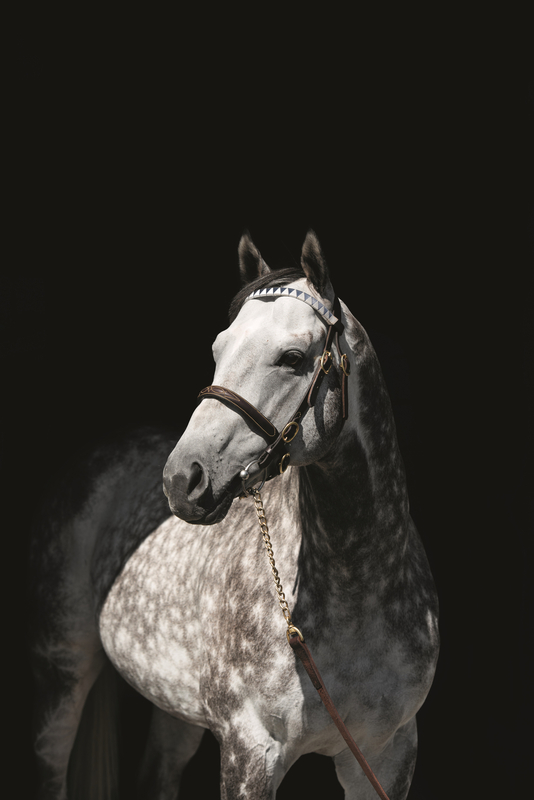 Bred in Kentucky by Darley, Frosted is a gray/roan son of Tapit out of the Deputy Minister mare Fast Cookie. He was foaled on April 18, 2012. In his three-year career, Frosted raced 19 times with a record of 6-6-2 and earnings of more than $3.9 million. Campaigned by Godolphin Racing and trained by Kiaran McLaughlin, Frosted broke his maiden in his third career start on Oct. 30, 2014 at Aqueduct. He then finished second in the Grade 2 Remsen in his final start of the year. As a 3-year-old, Frosted won the Grade 1 Wood Memorial before finishing fourth in the Kentucky Derby and second in the Belmont Stakes behind Triple Crown winner American Pharoah. After finishing second in the Jim Dandy and third in the Travers, Frosted won the Grade 2 Pennsylvania Derby. Frosted was at his best as a 4-year-old, winning the Grade 1 Metropolitan Handicap by 14¼ lengths and the Grade 1 Whitney Handicap. Darley shared this conformation video of Frosted. He is majestic and beautiful, with such confidence. Enjoy! 20161221-darley-us-stallion-frosted from National Museum of Racing on Vimeo. Godolphin generously provided this video on a day in the life of Frosted. 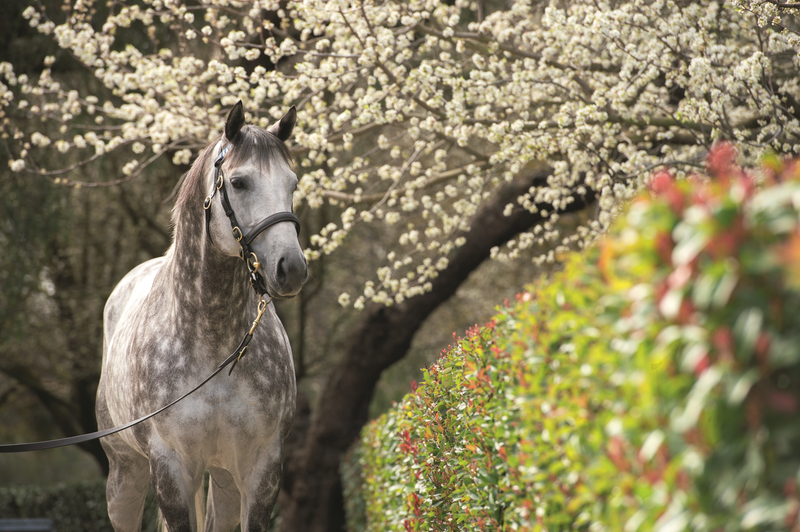 Frosted - a day in the life video from National Museum of Racing on Vimeo.